How to get rid of toxic mold in your bath, shower, around your bathtub and sink. Just say the words “toxic mold” and people cringe. Mold does not just look nasty – it is nasty. Toxic Mold Syndrome is often compared and linked to Sick Building Syndrome; it is an allergy that is spread by mold spores. This can potentially lead to a weakening illness that can be acquired by people who live or work in an environment that is highly exposed to black mold. What is black mold or toxic mold? This type of mold produces toxic spores that can be inhaled thus causing vexing health problems and discomfort. Toxic mold can be found growing in areas that have been exposed to water or where there is too much moisture like the basement and bathroom. 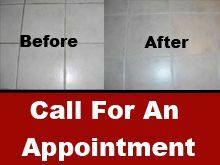 Once mold is imbedded in grout and caulk it is very difficult for a non-professional to remove. This is where your Grout Works professional can assist you in regrouting and recaulking to minimize the overall mold production in your kitchen and bath or around your bathtub and shower. Mold also grows as a result of leaks in grout and caulk which lets moisture get in behind the wall tiles. This can create a major mold problem that is much more difficult and expensive to fix than new grout and new caulk. When a bathroom is not well ventilated, it also has the tendency to grow some black or toxic molds. Sometimes the home or building is already infested without the occupants being aware of it. The problem with toxic mold syndrome is that it is hardly recognizable because the symptoms can also be identified with many other diseases. It’s really hard to tell that a person has toxic mold syndrome. Medical establishments find it difficult to separate the symptoms from common allergies. Some who have been exposed to toxic mold can have either mild or severe symptoms. Watery eyes, nausea, fever and shortness of breath are just some of the most common symptoms of this disease. Although the effects of toxic mold syndrome are most often not detrimental, it’s always safe to go see a doctor before the disease gets worst as there are some additional serious complications that require you to see your doctor immediately. Further medical intervention may be required to treat the problem if the damage done to the respiratory tract is on the extreme side already. The mentioned symptoms will not go away overnight; it may take months for the toxins to depart the body. The general rule – don’t mess with mold and mildew. When it appears on your grout or caulk, it needs to be removed immediately. If you have cracks in your caulk or grout, have the regrouting and recaulking done as soon as possible and stop introducing water to the site until repairs can be made, if possible. Protect y0ur health and the health of your family. Call Grout Works today to get rid of that toxic mold in your bath room, shower, bathtub and around sinks.